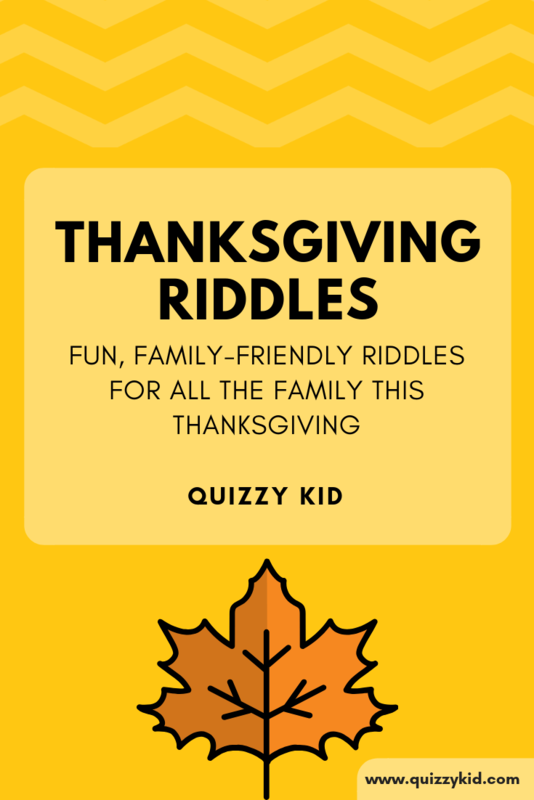 These Thanksgiving riddles for kids and adults are great for Thanksgiving parties and gatherings. See if the kids can work them out! You might also enjoy our Thanksgiving Quiz. Or our Thanksgiving Knock Knock jokes might tickle your fancy! Q1. When does Christmas come before Thanksgiving? Q2. Why didn't the turkey eat dessert? Q3. What always comes at the end of Thanksgiving? Q4. If twenty Thanksgiving turkeys told terrible tales, how many "t's" would there be in all? Zero - there are no "t"s in the word "all"
Q5. What kind of key has legs, but can't open doors? Q6. What can never be eaten at Thanksgiving dinner? Thanksgiving breakfast or Thanksgiving lunch. Q7. What’s the most musical part of a turkey? Q8. Why did the turkey cross the road? Q9. If it took 3 women 4 hours to roast a turkey, how long would it take 4 women to roast the same turkey? None. The turkey is already roasted! Q10. What’s the favorite food of mathematicians for Thanksgiving?